Your bedroom should not only be a beautifully styled space that compliments the style your home, but should be a sanctuary where relaxation and comfort are the most important aspects of the room. Comfort starts with deciding which mattress to buy, which is an important step for not only a master bedroom but also guest bedroom. There a range of comfort feels from plush, medium to firm. The best thing to do is try before you buy, and Sealy offer a brilliant range of comfort levels as well as the latest technology in comfort layers, edge and spring coil support systems. 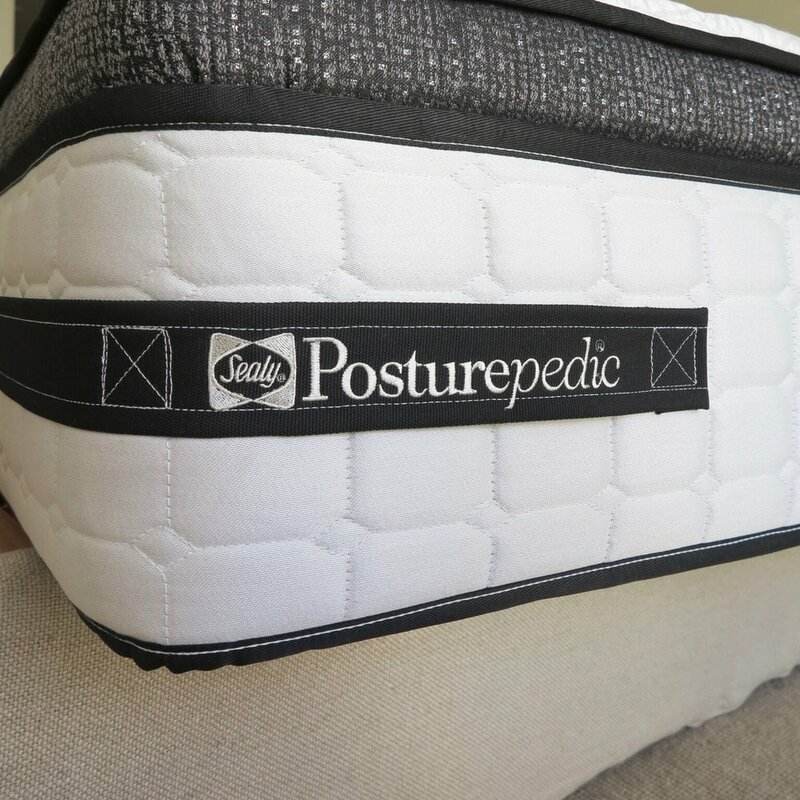 My preferred mattress the Sealy Posturepedic Exquisite that combines precision engineering with a clean aesthetic. Layering is an important aspect of creating a warm, inviting space. Bed linen is a great starting point for a bedroom in terms of colour and texture. I love using 100% linen for fitted, flat and duvet covers and then layering with graphic throws and cushions. My rule when it comes to cushions and pillows is the more the merrier! My go-to cushion schemes is two standard pillows, a large 60x60cm graphic feature pillow and another feature cushion with a pattern or interesting texture that works back with the overall palette. The mix of textures, sizes and patterns creates interesting layers and warmth. You want everything in your bedroom to exude comfort, and the colour palette is no exception. Choosing colours that give you a sense of calm is important to create an inviting space. Duck egg blue, warm whites, shades of blue and sage green are great background colours to build your scheme around. Lighting is so important to create the overall mood of the space. Table lamps, floor lamps and ceiling lighting (ideally on dimmers) are great ways for your guest to create an inviting feeling within the guest bedroom. When it comes to styling details, adding finishing touches such as fresh cut flowers, scented candles and personal accessories and objet create a sense of warmth and elegance to your space. Books, trays and jewelry boxes are also great tools to create vignettes on the bedside table.